Shanghai’s tourism authorities announced a new walking tour route on Tuesday, inviting residents and tourists to explore the city’s history, culture and glamour on foot. The 12-kilometer route links up more than 50 spots in three districts, namely Huangpu, Jing’an and Xuhui. It starts from the Shanghai Tourist Distribution Center in Xuhui District and winds up at the Shanghai Bund Tourist Service Center. The route includes some landmarks of the city such as Waitanyuan, literally “the origin of the Bund,” Waibaidu Bridge and Nanjing Road Pedestrian Mall, former residences of celebrities like renowned Chinese educator Cai Yuanpei, literary author Ba Jin, cartoonist Zhang Leping and playwright Ke Ling. Historical buildings including Bibliotheca Zi-Ka-Wei, Shanghai’s oldest library, the Wukang Apartments, previously known as Normandie Apartments with history dating to 1924, and the iconic Park Hotel, designed by Laszlo Hudec, are also part of the route. Visitors will also pass museums, including T’ou-Se-We Museum, Shanghai Film Museum, and Shanghai History Museum, as well as parks like Xujiahui Park and Jing’an Park. 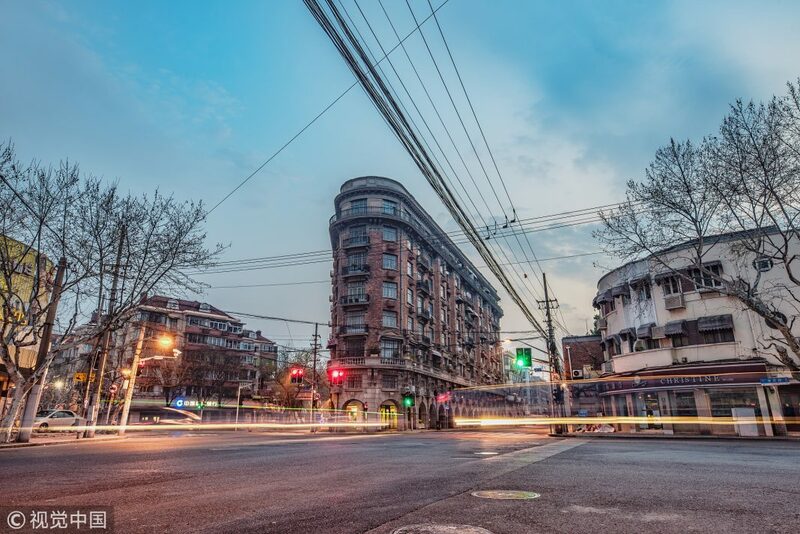 The route allows people to savor the charm and enchanting view of the city’s garden villas, historical buildings and streets, and stories behind its revolutionary past, the Shanghai Administration of Culture and Tourism said. Some “red tourism” spots, including the site of the first National Congress of the Communist Party of China and the former residence of Liu Changsheng, one of the earliest leaders of the Communist Party of China, are also covered. “These places are very classic and I would like to take a walk with my friends,” said Celine Chanut, from France, who has been living in Shanghai for years. The city’s tourism authorities have released several walking tour routes and organized trips based on these routes in the past.